The officer was identified as Yanjun Xu, a Ministry of State Security intelligence officer who was extradited to the United States from Belgium on Tuesday. He was charged in a federal indictment with conspiracy and attempting to steal secrets from American aviation and aerospace companies. Xu's arrest is a rare prosecution of an MSS officer and highlights the Trump administration's efforts to crack down on Chinese spying and technology theft. "This case is not an isolated incident. It is part of an overall economic policy of developing China at American expense," said Assistant Attorney General for National Security John C. Demers in announcing the indictment. "We cannot tolerate a nation's stealing our firepower and the fruits of our brainpower. We will not tolerate a nation that reaps what it does not sow." FBI Counterintelligence Assistant Director Bill Priestap said the arrest and extradition are unprecedented and "exposes the Chinese government's direct oversight of economic espionage against the United States." Xu is deputy division director in the MSS Jiangsu State Security Department's Sixth Bureau and was arrested in Belgium on April 1 based on an FBI criminal complaint. The MSS officer's mission was to obtain American technology from U.S. aerospace companies. The FBI stated in the complaint that Xu and other MSS spies targeted American technical experts, including those with GE Aviation, and paid for visits to China where they were coaxed into providing valuable technical information about U.S. aircraft and space systems. The activities took place in Ohio and involved Xu posing as a representative of the Jiangsu Science and Technology Promotion Association, a cover organization. The technology theft was shared with aviation experts at the Nanjing University of Aeronautics and Astronautics. The university is run by the Chinese Ministry of Industry and Information Technology. Three U.S. companies were involved in the technology theft operations and were identified only as victim companies A, B, and C.
GE Aviation cooperated with the FBI and as a result did not lose proprietary information to the Chinese, according to the Justice Department statement. The operation began in December 2013 and continued until Xu's arrest. Court papers in the case indicate the Chinese operation was uncovered through the use of intercepted emails between Chinese officials and American companies. The emails discussed China's attempts to obtain information on composite fan rotors for aircraft, and Xu urged one U.S. employee of a company to provide information on a computer flash drive. Other targeted U.S. information included analytical tools, design manuals, and software on aircraft and aerospace topics. Another target was U.S. research, development, and production of aircraft exhaust turbochargers, engine valves, cooling fans, and other engine parts. Another target was U.S. unmanned aerial vehicle technology. If convicted of the four counts outlined in the indictment, Xu faces up to 25 years in prison plus financial penalties. The Justice Department did not say whether Xu had diplomatic immunity, but if he had such immunity he would not have been arrested and extradited. China could retaliate by arresting a known U.S. intelligence officer operating in China and holding him for a possible spy exchange. The FBI's Cincinnati office conducted the investigation with help from FBI agents in Brussels. "Innovation in aviation has been a hallmark of life and industry in the United States since the Wright brothers first designed gliders in Dayton more than a century ago," said U.S. Attorney for the Southern District of Ohio Benjamin Glassman. "U.S. aerospace companies invest decades of time and billions of dollars in research. This is the American way. In contrast, according to the indictment, a Chinese intelligence officer tried to acquire that same, hard-earned innovation through theft. This case shows that federal law enforcement authorities cannot only detect and disrupt such espionage, but can also catch its perpetrators. The defendant will now face trial in federal court in Cincinnati." A report by the National Counterintelligence and Security Center, a DNI component, made public last summer said China is engaged in aggressive cyber operations to steal valuable U.S. technology and economic secrets. The report said the Chinese, along with Russian and other foreign spies, are targeting key technologies related to energy, biotechnology, defense, environmental protection, high-end manufacturing, information, and communications. The report also said the problem of Chinese spying is enduring and systemic. 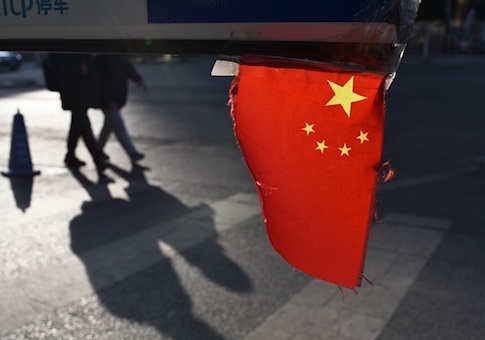 China is using traditional spies linked to the MSS for its economic espionage as well as non-traditional spies, including agents among the 350,000 Chinese students in the United States. Xu's arrest also highlights the deception of Chinese leaders in providing false promises to the United States. Chinese supreme leader Xi Jinping in September 2015 promised the United States that China would not engage in commercial spying.